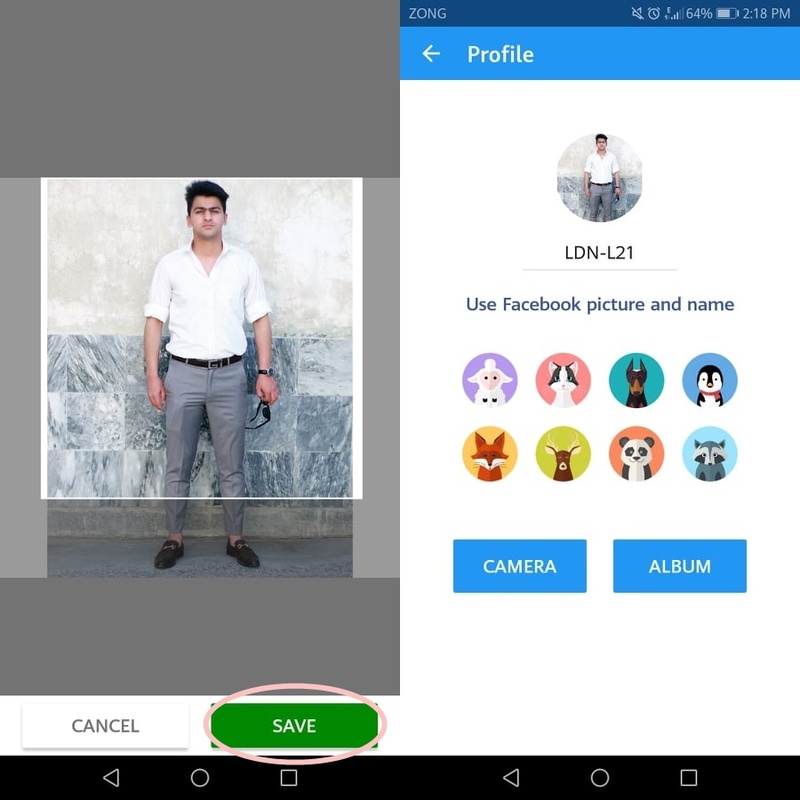 This will make things easier during the transmission of files as other users will be able to recognize you through your picture easily instead of a picture of any random character. Launch Xender on your device. Tap on your Avatar icon on the top-left hand corner of the screen to open the menu. Now tap on your Avatar icon next to your Device’s name. Now a list of different pre-made cartoon characters will show up along with the option to either take a photo with the camera or select a custom photo from Gallery. You can either Take a Photo or Choose one from the Gallery. Adjust the photo accordingly, and then tap on the Save Button to select that photo as your Avatar icon. 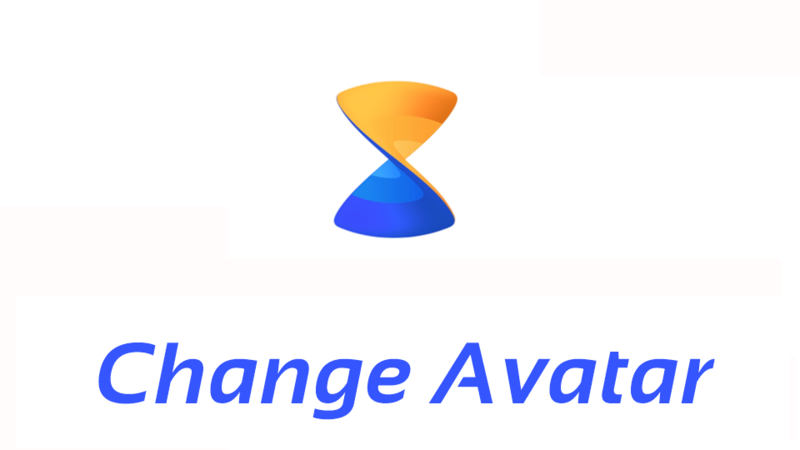 By doing so, you will now have successfully changed the Photo of your Avatar! 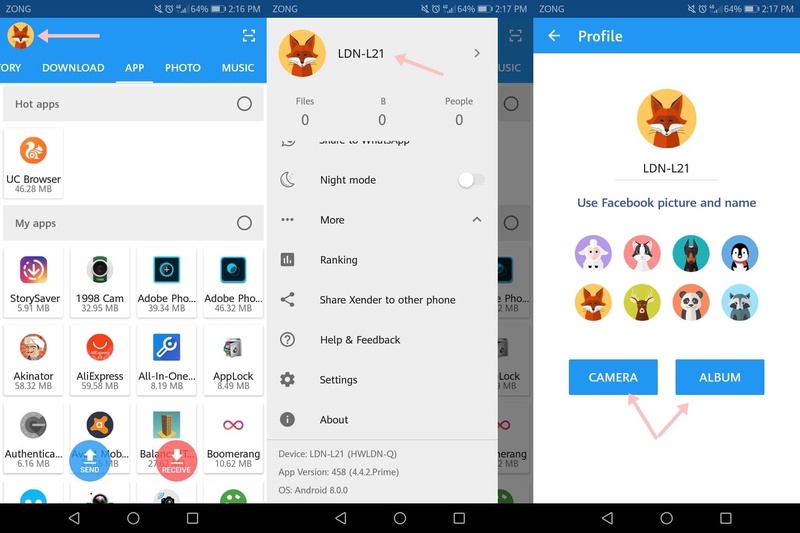 By doing so, other devices will be able to connect to your device easily and pairing process will be a lot faster since your photo will be shown and others will be able to connect to your device easily without even asking for the name of your device.